While many are grossly overlooking Ferguson’s chances of handing the Dagestani the first defeat of his professional MMA career, they do so at their peril. “El Cucuy” has been one of the most consistent standout performers on the UFC’s roster over the past few years, amassing a record of 10 consecutive wins following his last loss in 2012. A smart, measured fighter with a fantastic submission game, Ferguson is a match for anyone on his day. With just one knock out in his ten-fight streak, with arguably just two A-list names in Rafael dos Anjos and Edson Barboza (who was beaten by Nurmagomedov in his last bout). Many hypothesize that the Russian Sambo master will have too much for Ferguson, but the real intrigue in this matchup is that the notable clash of styles. “(McGregor) can fight Diaz, and he can fight in boxing,” Nurmagomedov told RT Sport. “But, God willing, when I beat Tony Ferguson, I’m going to make him humble, and he has to sit in line. The chances of Nurmagomedov having such control when it comes to Conor McGregor is slim. 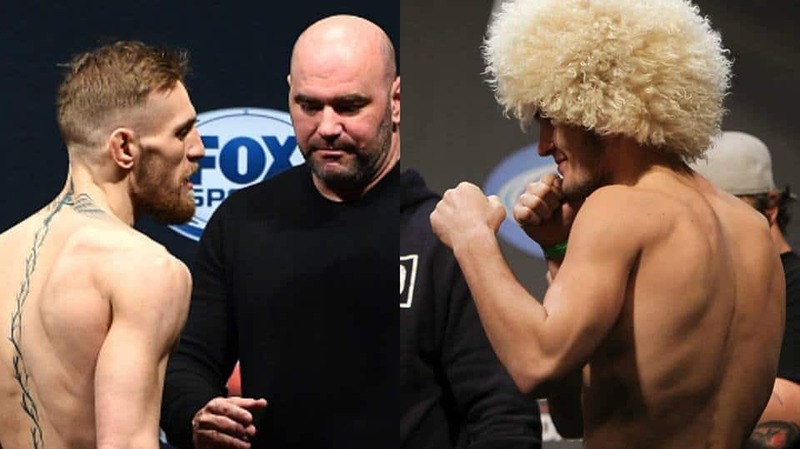 Everything is seemingly in place for a gigantic clash between both men, should the Dagestani get past the challenge of Ferguson. The UFC already has a date set in Russia for what is perceived to be Nurmagomedov’s first title defense later this year. If all goes well the UFC gets their own opportunity to replicate Sylvester Stallone and Dolph Lundgren’s famous bout in Russia in Rocky 4. While the narrative does not exactly fit – McGregor is the giant in terms of money and fame, widely regarded by casual fans as an all-time great – the UFC would not miss a trick in promoting the fight as such. Put simply, the promotion needs this fight. McGregor’s star power is undisputed, and the poor ratings and underwhelming pay-per-view buys in his absence only compounds this theory. “The Notorious” affects fights which he isn’t directly involved in when it comes to PPVs, as Ferguson vs. Nurmagomedov will likely show. “I spoke with Dana and everybody about this situation,” he said. “They say we’re going to fight for the belt. What kind? Undisputed belt.